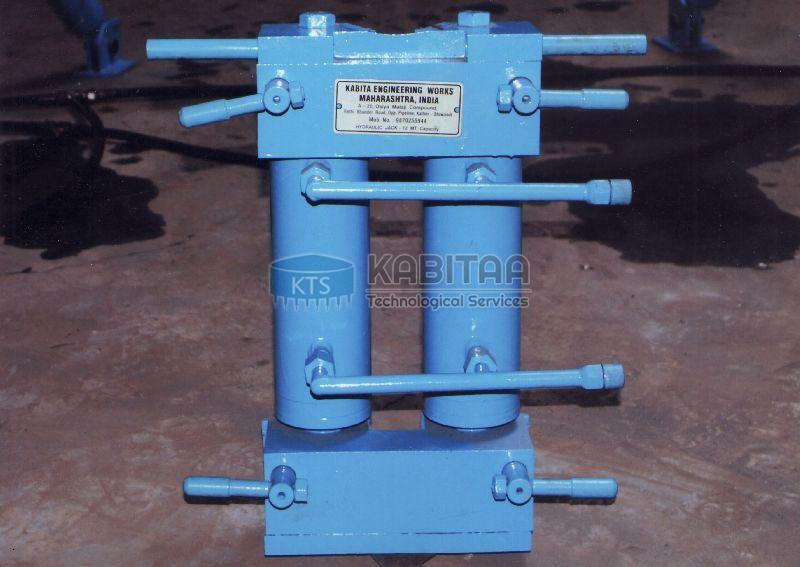 Kabitaatech supplies 12 MT capacity Twin cylinder model DOUBLE ACTING TANK JACK unit with all accessories, Hydraulic power pack, hoses fittings for construction and repairs of vertical storage steel tanks. The advantage of a double acting jack system is lifting duration between each lift is reduced due to the separate return line for hydraulic oil from the system to the power pack. Number of acks required for a tank is decided on tank parameters, wind speed, site conditions etc.